Description: A smaller version of one of our best sellers BBC14. 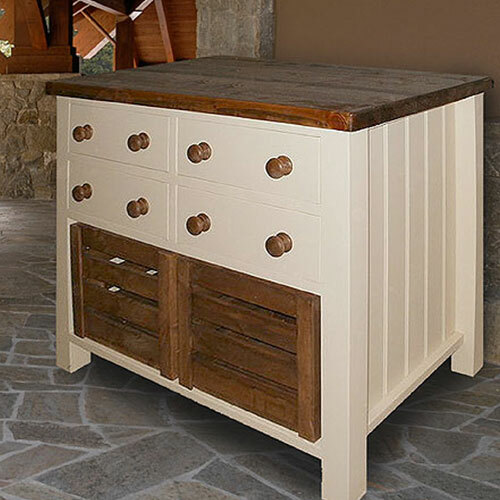 Full of charm and french inspired, this unit provides ample storage within its' 4 large drawers and 2 rustic storage crates. A real eye-catcher in the kitchen! 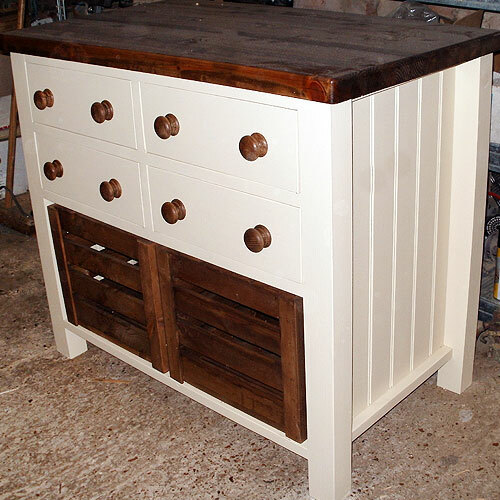 Complete with 4cm thick Worktop and wooden knobs as standard. Colour shown: Farrow and Ball, Cream #44. 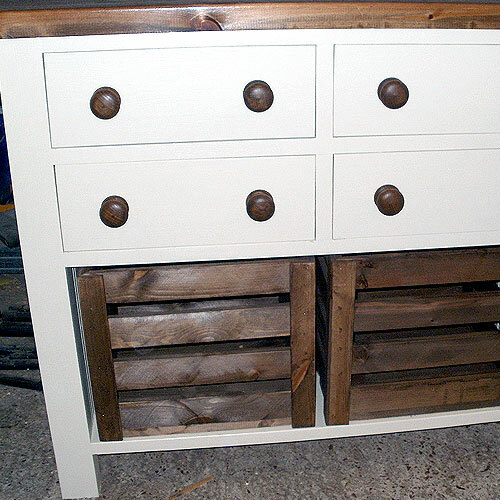 Worktop, knobs and crates finished in a dark stain.